Pop microwave popcorn according to its directions. Let cool for about 5 minutes. 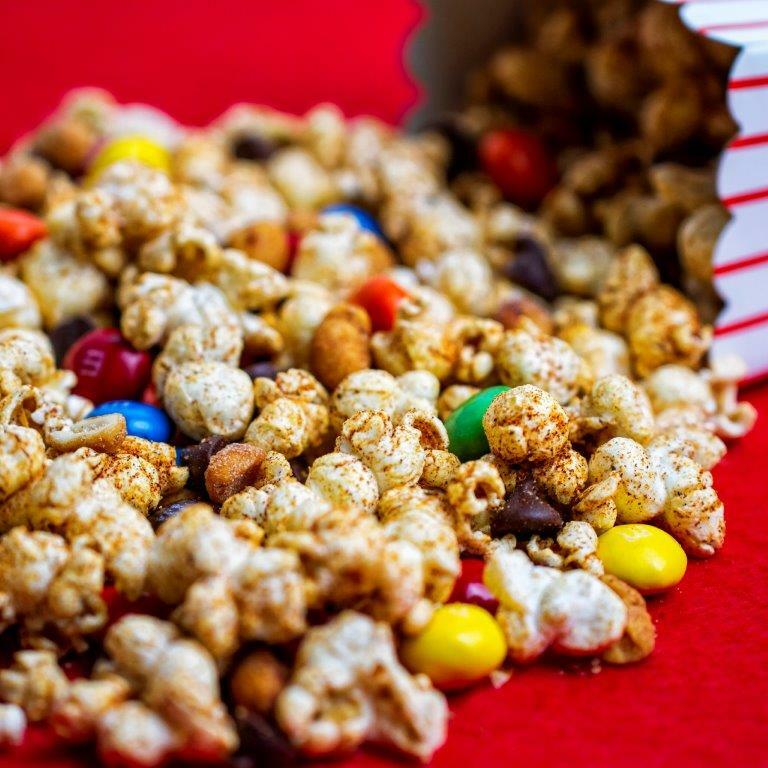 While popcorn is cooking, put the Ring of FireAll Purpose Seasoning, brown sugar, honey roasted peanuts, M & M's®, and chocolate chips in a 1 gallon re-sealable bag and shake until mixed evenly. Once popcorn is cooled down, add it to the 1 gallon re-sealable bad, drizzle melted butter and shake until popcorn is evenly coated with seasoning and brown sugar. Serve immediately. Makes 4 servings. Note: Please make sure all the un-popped popcorn kernels are not in the mix before you eat. Since there are so many textures from the peanuts, M & M's®, and chocolate chips, you may confuse an un-popped kernel for something edible.